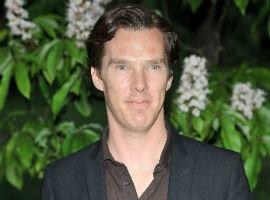 Actor Benedict Cumberbatch has landed a role as a guest character on The Simpsons after personally making a request to producers who he met randomly in a studio. The Sherlock star has become hugely popular after the BBC drama received widespread critical acclaim and even became a hit overseas in the US. Benedict recently won a TV Critics Choice Award for Best Actor at a ceremony in LA for his role in Sherlock. Explaining more about his role in Parade's End, Benedict said: "I wore a fat suit under my clothes and had bumpers in my cheeks. They attach like a brace to your teeth to make your face look plumper." Who are some of your favourite guest stars from The Simpsons?